On the fourth episode of Sherpa’s Talking Shop Podcast, the Sherpa team has a discussion on a few different topics. They discuss a new ‘trend’ running around the office called TrendSET, different ads placed in games on your phone, the best and worst ads of the week and an update on the office’s favorite game, fantasy football. You’ll hear insight from Sherpa’s Brand Journalist and Junior Account Manager, Corey Weir as he hosts the podcast alongside Account Manager Stew Moffatt and Digital Marketing Specialist, Producer Dan Nicholson. TrendSET is a team comprised of a few skill-specific individuals. Those individuals are brand strategists, content capturers and journalists. We attend events to complete documentation, amplification, transportation and reporting on your organizations behalf. We take the time to consult clients beforehand to identify exactly what they may be looking to get out of their event. Once the event rolls around, we attend the function representing your organizations branded clothing, communicate your social media offering to attendees while simultaneously capturing and uploading content. Once we have captured the content we produce it into valuable marketing assets (images, videos, articles etc.) that you can use in the future. Post event, we conduct a debriefing session where we examine successes and points of learning for future events. 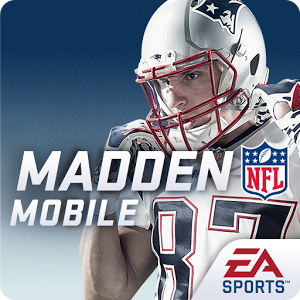 As talked about in the podcast, Corey Weir brought up the Head and Shoulders marketing within the Madden Mobile game. Throughout the game, you are given live events that give you coins and experience points that you can use to buy players and packs. The more live events you play, the more coins and experience points you can accumulate, eventually building your team to a better overall and in turn a better outcome when you play games. 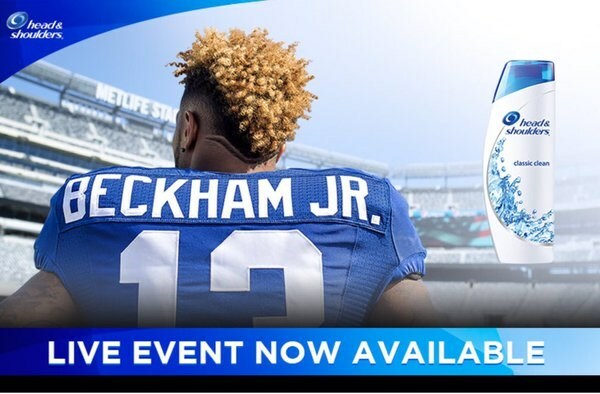 Head and Shoulders has sponsored a live event which shows an icon throughout the map that has the Head and Shoulders brand on it. When you win that live event, you are given a hefty prize in coins and experience points. The team talks about the benefits of placing ads in a game like this and how a small risk taken by Head and Shoulders could turn into a big reward. We have a lot of fun here at Sherpa Marketing and our Fantasy Football League is something we take very seriously. As heard in the podcast, you can hear the competition oozing from every word. Each podcast we will be updating everyone on who is on top of the leaderboards and who is not. At the time of recording the podcast, we were heading into week 9, where team’s weeks are turning into crucial wins for teams blitzing to make a post season appearance. So congratulations to them and thank you for reading and listening to Sherpa’s Talking Shop. Follow us on Twitter, Facebook, and LinkedIn (Links below) to hear the latest news and don’t forget to subscribe to our podcast.